Aegina, the first capital of the modern state of Greece, the island of the pistachio, is hosting the fifth annual ‘Fistiki Festival’. A four-day programme beginning on the 19th of September and ending on the 22nd, which includes events of a cultural, enjoyable and educational character, with aparticular emphasis on gastronomy. The trade fair, set up along the harbour of the island, is the core of the celebrations. About 60 kiosks offer local products varying from many pistachioand other pistachio-based products, as well aslocal agricultural products, such as Aeginitan cheese and honey, to a plethora of Aeginitan traditional goodssuch as ceramics, handmade kopaneli-lace, jewelry and much more. The program includesart exhibitions, folklore dances, songs, lectures, playsand other performances.At the same time there will be many creative and interesting demonstrations for children. The opening ceremony promisessurprises for everyone, andshows the audience the high quality of the whole celebrations. A gala concertby Christos Nikolopoulos, as well as a musical concert by talented local musicians will also take placeunder the aegis of the Municipalityof Attica. 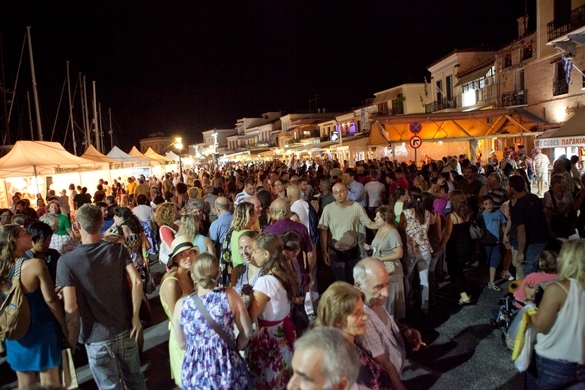 Cultural events are held throughout the year in Aegina,which reach their peak during the summer months. In July top craftsmen uncovered their technical secrets in stone workshops, while the Theatrical Festival of Aegina presented performances of high quality by Athenian theatre companies. TheFistiki Festival attracts thousandsevery yearwho get the chance to visit the islands’ unique archaeological sites and sample some of the many other beauties of the island.